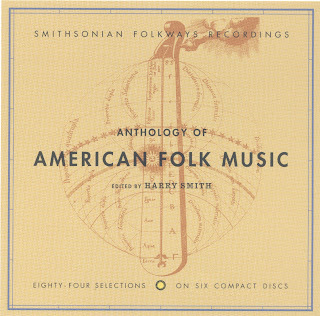 Welcome to the third and final installment of our humble series on Harry Smith’s Anthology of American Folk Music. For those of you who’ve missed the previous installments, please scroll down to our two previous posts. Volume 3 of the Anthology, Songs, features blues and non-narrative songs, many mysterious in origin. The strangest and most otherworldly tunes are found on the Songs discs. More importantly, Songs is where Harry Smith’s skill as an editor and compiler is to be admired. Essentially, Smith was putting together a mixtape. 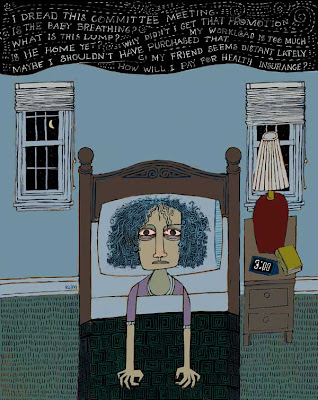 So Dock Boggs’s cackling, bitter “Sugar Baby” is followed up by Bascom Lamar Lunsford’s sweet but inexplicable “I Wish I Was A Mole In The Ground” — one kind of world-weariness matched up against another. Elsewhere, Uncle Dave Macon’s rollicking celebration of the Coal Creek Rebellion is followed up by Mississippi John Hurt’s mellow rejection of an oppressive job which itself leads into a jug band’s version of a railroad work song. That mixtape-quality is what gives the Anthology much of its mystique. By the way, “I Wish I Was A Mole In The Ground” is one of the classics. Listen to it here. Texan and sometime-professional-wrestler Blind Lemon Jefferson was a nationally popular blues artist in the 1920s and an associate of Leadbelly who froze to death on the streets of Chicago. It’s not hard to tell why Jefferson garnered popularity when he did — his introspective singing is nuanced and his guitar playing has a seductive groove. This song is reportedly the last Jefferson recorded before his early and awful death. As such, he must be mentioned along with those artists we’ve examined in previous months whose early deaths give their music a romantic and possibily morbid allure. To that end, be sure to check Jefferson’s spine-chilling bell tolls at 2:30. They toll for thee. SWR spiritual advisor Jeff Wheeler’s fave, Henry Thomas, contributes the perfect closing song to the Anthology. This tune will make you smile, grab your rod-and-reel, and head to the nearest fishin’ hole. In his notes, Harry Smith claims that “references to fishing, other than as sexual symbolism, are rare in American folk music.” At any rate, “Fishing Blues” is the perfect song to open your weekend with, and the perfect song to close this series with. Before we get started on the second volume of the Anthology of American Folk Music, some information about the image above. When Harry Smith’s 1952 Anthology was reissued in the 1960s, no doubt to capitalize on the burgeoning folk music revival, the albums were plastered this Depression-era photograph, taken by social realist artist Ben Shahn, famous for his portraits of Sacco & Vanzetti. Harry Smith was furious about the cover. His intent was to preserve lost recordings, and to compile them in such a way that highlighted their regional differences but underlined their emotive similarities, not to lend them a vague political charge that, in retrospect, seems more fashionable than political. The third and fourth discs of the six-disc Anthology contain what Harry Smith termed Social Music — dance songs on disc 3, church and religious songs on disc 4. The dance music is fascinating, in part because most of it is so off-kilter; it’s hard to imagine people dancing to the melancholy fiddle warbles that dominate disc 3. The religious music on the fourth disc is my favorite on the Anthology — it has a spiritual authority I’ll discuss a bit later. There’s no way that can be right. Sacred Harp singing, or shape note singing, has been a choral style of sacred music in New England and the South since Revolutionary times, and seems to be making some inroads into the mainstream as of late. As far as I can tell, shape note singing is based on simple solfeggio scales, with individual notes notated by both shape and position on the clef, so that it is easier to sight read. The term “Sacred Harp” comes from the name of one of the prominent songbooks, The Sacred Harp, from 1844 (though many of the songs date back further). 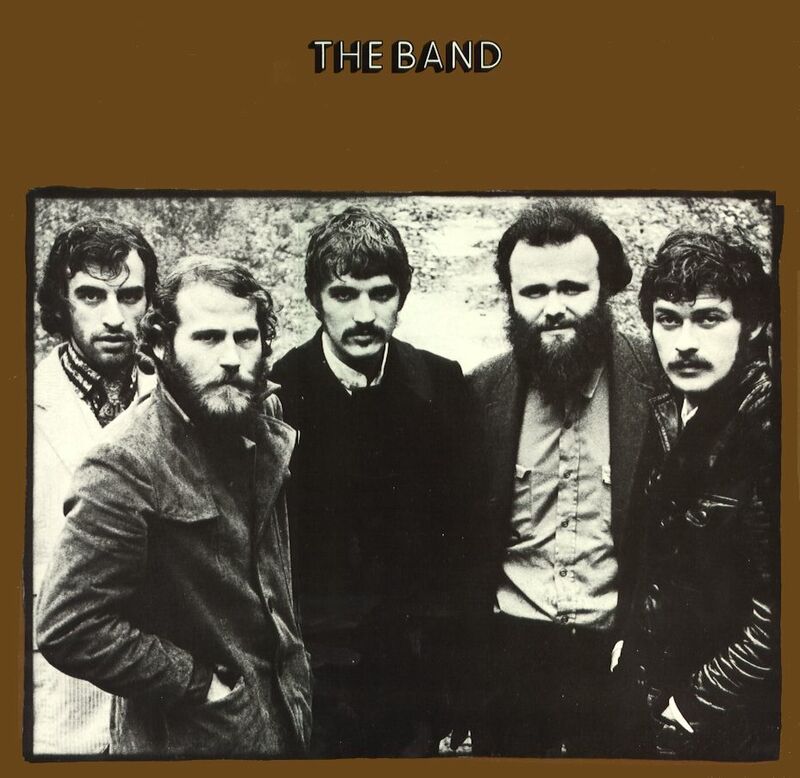 These songs, including “Rocky Road,” are characterized by four-part a capella harmony, usually quite raw, and can be sung by hundreds of people at a time. The effect is staggering. Listen for yourself, and find out more here. This song exemplifies the power of the religious songs on the Social Music set. Nelson cajoles and exhorts and and warns, at one point accusing her congregation of hypocrisy, but the performance contains such pure joy that it’s kind of hard to take. Listen closely to the background singing: doesn’t it sound like a 10-year-old boy is shouting along? Not much is known of Sister Nelson, but she seems to have been born late in the 19th century and to have led a Pentecostal church in Memphis. Stray thought (WARNING: IDLE THINKING AHEAD): It occurs to me that old-time religious music is so exciting for two reasons. First, it is dead serious. Serious about divine inspiration, about justice, about emotion, about humility, about this life and the next. The religious impulse, the will toward God, whatever you want to call it, is an unavoidable part of human experience, but is hard to capture successfully in art, and many of these old-time religious songs seem to do just that. But secondly, maybe more importantly, old-time religious music is free of the culture-war baggage that present-day religious music hauls along. We’ve mentioned Sufjan Stevens at this blog before, one of the few musicians today tackling religious themes without lapsing into evangelicalism or fundamentalism. (In our old mate Jordy’s parlance, Sufjan “helps make Christianity hip,” a funny thought.) But he’s the exception rather than the rule. The good music I can think of that does tackle Christianity is either intellectualized to the point that it can’t convey religious ectasy (Pedro the Lion, Danielson) or is one-dimensional about the religious life (The Hold Steady — I love ’em, but sometimes doesn’t it seem like their redemption is a bit trite?). So…..I don’t know. But the religious music on the Anthology hits on at least ten different emotions that accompany religious feeling and religious life, and I wonder whether that kind of range, a propos of religion, is even possible in music these (secular) days. 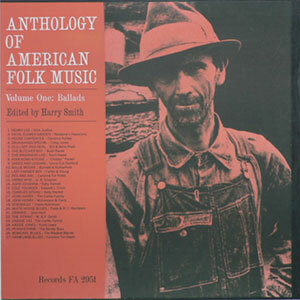 Check in tomorrow for Part 3 of this series on the Anthology of American Folk Music!